To better understand how MTTC can help your business, consider some of our existing successful partnerships. All are based on our powerful solutions, unique processes and the sharing of our know-how from many years in the industry. Anyfix Smart Solutions BV is a joint venture of MTTC and a Dordrecht-based service provider that now offers complete customer care to mobile-device users throughout the Netherlands and is also expanding in Belgium. SmartWeb sites (anyfix.nl and anyfix.be) and SmartLogistics are key components of the new regional centre’s success. As a parent, MTTC continues to share its extensive industry experience while handling advanced repairs and efficient supplies of parts. MTTC handles all repairs under a unique screen care plan offered in Estonia, Latvia and Lithuania by Samsung and the IJSC Balta unit of CEE insurance leader PZU. 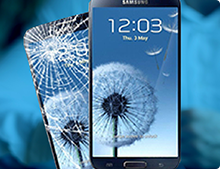 Customers who purchase Samsung mobile devices in the three countries get free insurance for the replacement of broken screens. MTTC added a quick-repair station for mobile devices in an electronics store at the popular Akropolis shopping mall in Šiauliai. We can help retailers create their own in-store repair points. MTTC will assist in the design and installation of reception and service areas, and can provide temporary staff plus training for the store’s own technicians. We will also provide advanced repairs and ongoing full technical support for such quick-fix islands, including but not limited to parts supplies, documentation and IT systems. Simson Huoltopalvelu Oy, Finland’s repair leader for consumer electronics and appliances, teamed up with MTTC to introduce our highly competitive services for mobile devices on the Nordic market. MTTC manages the repair portal smarthuolto.fi and all underlying processes, while Simson earns extra by providing the venture with collection points, local logistics and call-centre support. 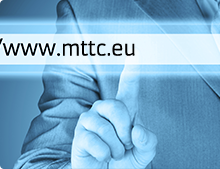 MTTC works with mobile network operators and device manufacturers to provide warranty service in specific markets. An example is the agreement in Lithuania between MTTC, Apple and Omnitel for the aftersales support of iphones. Blackberry and other devices are supported under similar trilateral agreements, which sometimes include special treatment for VIP customers. 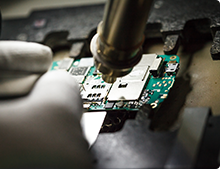 Since 2012, MTTC has been the exclusive repair partner for Sony and Motorola in the Baltics as well as Sony’s factory-level repair partner for Finland and Iceland. Samsung has recognised MTTC as a best-in-class service provider. We also have manufacturer warranty authorisations at multiple levels to repair and refurbish mobile electronics made by Nokia, LG, Huawei, ZTE and Alcatel. The MTTC outlet at Ozas Shopping Centre in Vilnius is an example of the type of mobile-device service centre that we offer to partners under franchise terms. We assist in the design and installation of reception and repair premises, offer training for staff, and take care of advanced repairs. MTTC supports franchisees on an ongoing basis with its extensive industry know-how as well as with full technical support, including but not limited to parts supplies, documentation and IT systems.